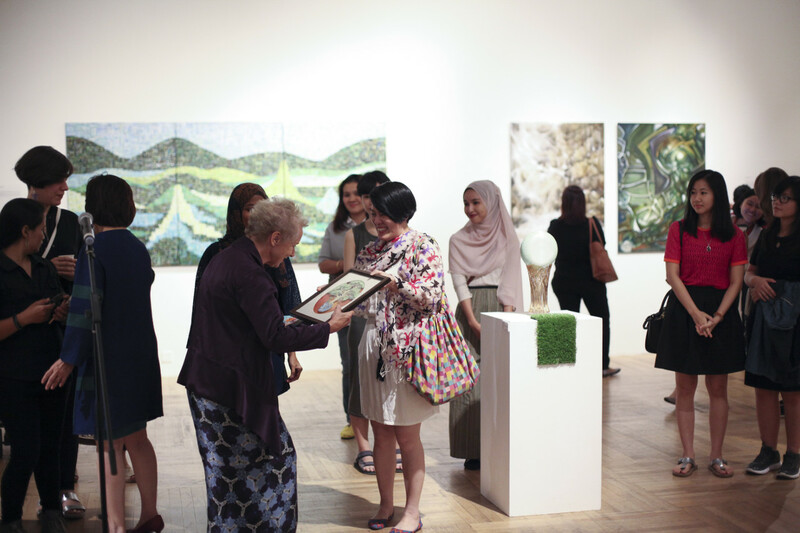 The opening reception was held at 8pm on Thursday, March 3 2016, and we’re delighted that gracing the event as our guest of honor was none other than Angela Hijjas, well known within the Malaysian visual art community for her work at Rimbun Dahan. Angela came to Malaysia in 1972 as an Australian volunteer and then worked in town planning. She married architect Hijjas Kasturi, and they have operated Rimbun Dahan, an artists’ residency programme at their home in Kuang, Selangor, for the past 22 years, inviting Malaysian and regional artists to stay for periods between a month and a year developing their practice. 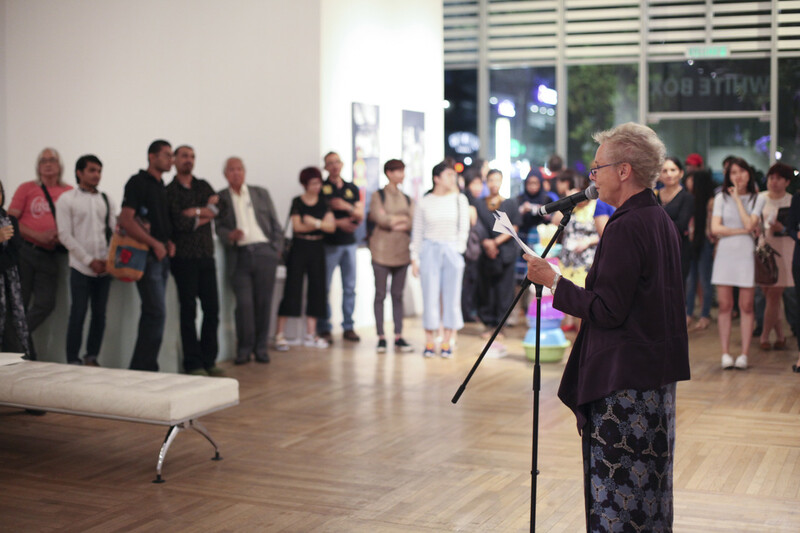 In her opening speech, Angela mentioned that having an all-women exhibition is certainly not something “sexist”, as often women artists are excluded from mixed shows, partly because there are fewer of them compared to their male counterparts. She added, however, the realization that this situation is changing, albeit sometimes at a “glacial pace”. Linking to this year’s International Women’s Day theme, “Pledge for Parity”, Angela commended Artemis Art on the initiative to feature women artists, and said that she would try to recruit more women artists into future programs at Rimbun Dahan, with the added hope that everyone would contribute towards doing something constructive so that the goal of gender parity might be achieved. Angela said that the problem was sometimes not so much the lack of equal opportunities, but because women have many priorities in their lives, often putting the interests of others around them over their own. 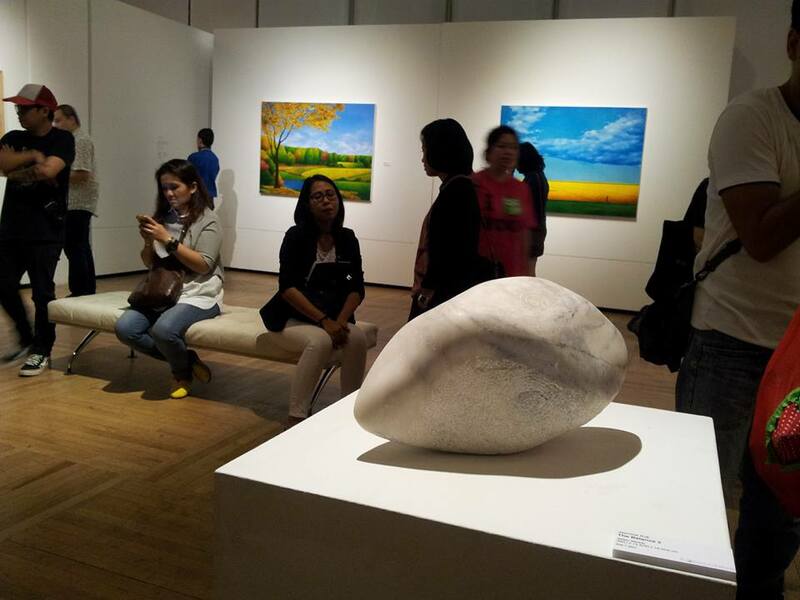 She congratulated the participating women artists, and acknowledged the difficulties they face. 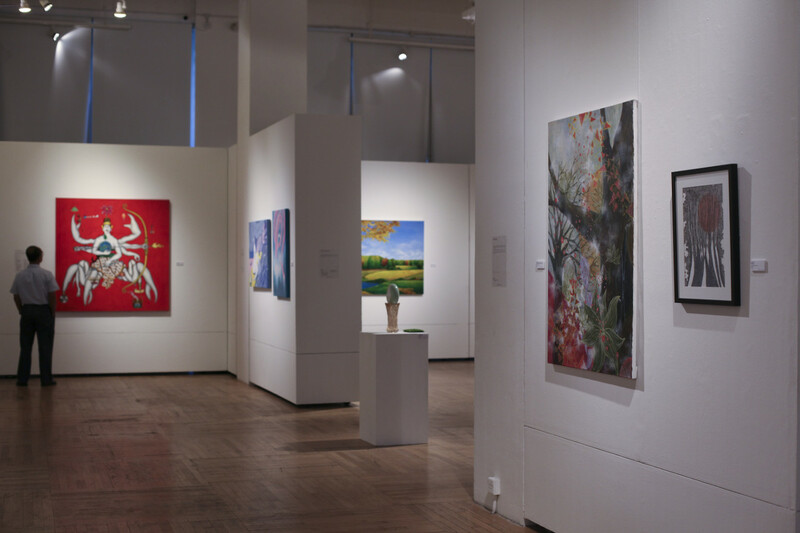 She also said that she was certain women artists would never sacrifice their femininity for the sake of having a busier art practice, adding that it is that very femaleness that made their works unique. 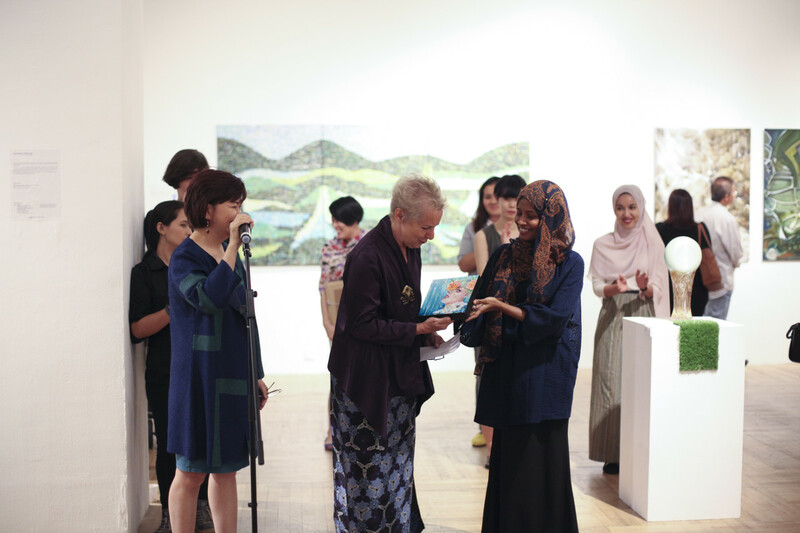 Two of the participating artists, ERYN (aka Winnie Cheng) and Manje (aka Shany Ahmed) each presented Angela Hijjas with a token of appreciation, on behalf of the 22 participating artists. Artemis Art also presented a small token to Angela, as a mark of our gratitude and heartfelt thank to her. 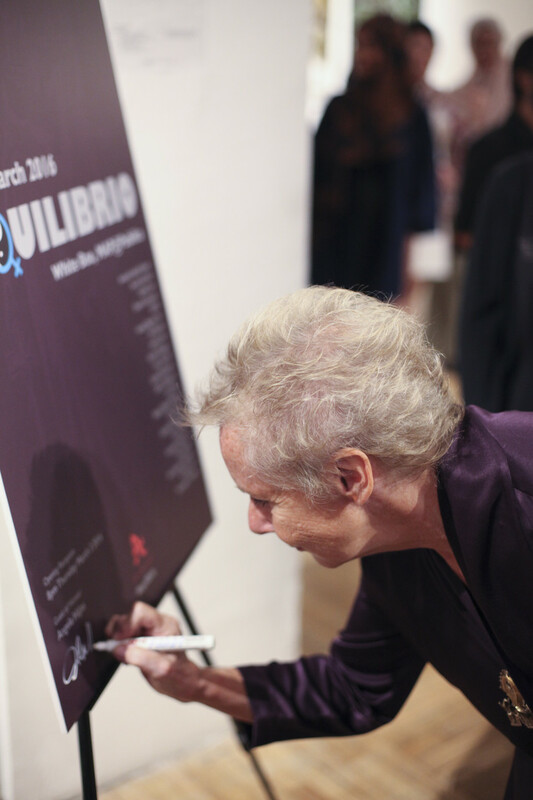 Here are a few photographs taken at the opening reception held on Thursday, March 3 2016. To view a larger image, click on any of the image thumbnails below. Please visit our Facebook page for more photos from the opening reception.